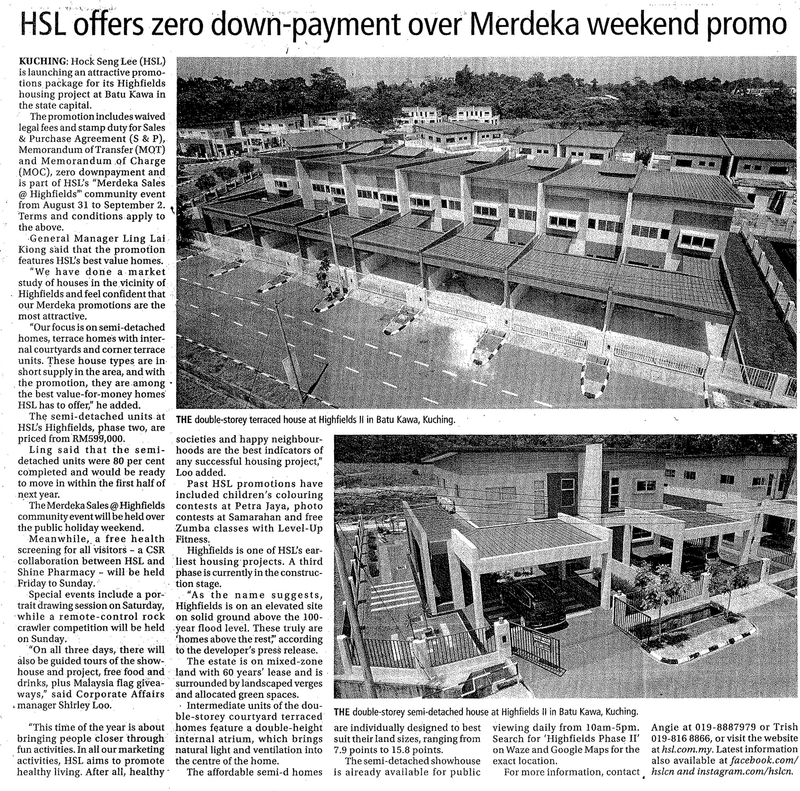 Hock Seng Lee (HSL) is launching an attractive promotion package for its Highfields housing project in Batu Kawah here. 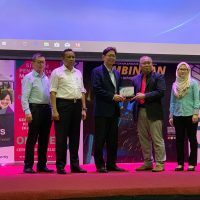 The promotion includes waived legal fees and stamp duty for Sales and Purchase Agreement (S&P), Memorandum of Transfer (MoT) and Memorandum of Charge (MoC), as well as zero downpayment, subjected to terms and conditions. 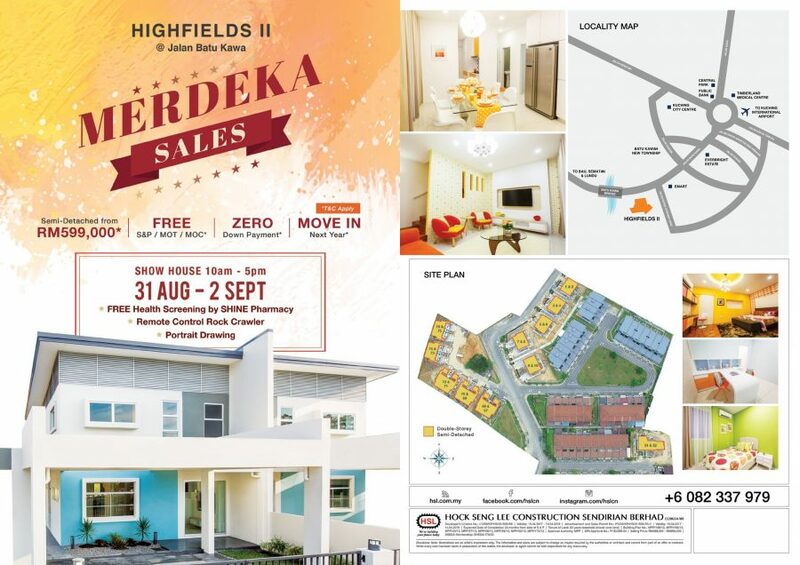 It is part of HSL’s ‘Merdeka Sales @ Highfields’ community event which kicks off this Friday (Aug 31) until Sept 2. 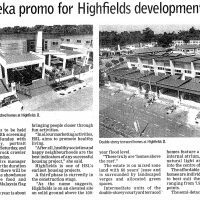 “We have done a market study of houses in the vicinity of Highfields and feel confident our Merdeka promotions are the most attractive. “Our focus is on semi-detached homes, terraced homes with internal courtyards and corner terrace units. 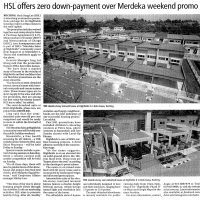 “These house types are in short supply in the area and with the promotion, they are among the best value-for-money homes HSL has to offer,” said its general manager Ling Lai Kiong. 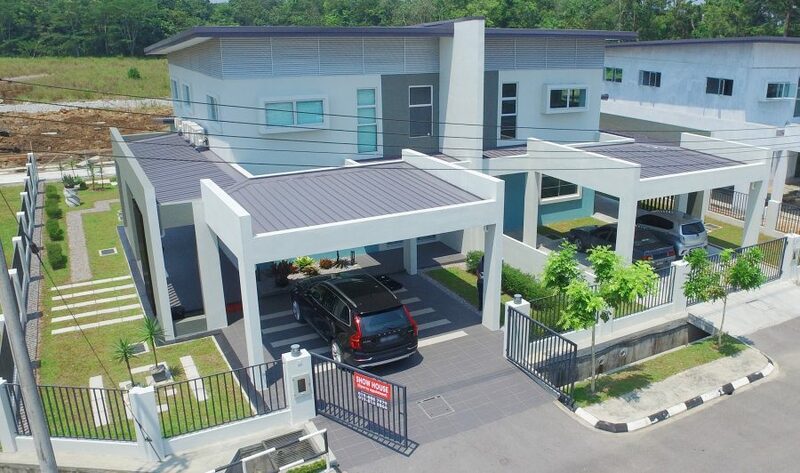 Semi-detached units at HSL’s Highfields Phase II are priced from RM599,000. 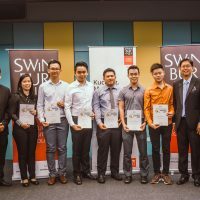 Ling said the semi-detached units are 80 per cent completed and would be ready to move in within the first half of next year. 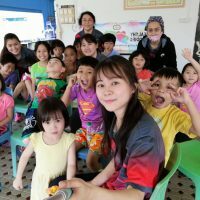 Other activities to be held include a free health screening from Friday to Sunday with Shine Pharmacy, portrait drawing session on Saturday, and a remote-control rock crawler competition on Sunday. 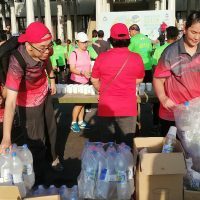 Corporate affairs manager Shirley Loo said for the duration of the three days, there will be guided tours of the showhouse and project, free food and drinks, as well as Malaysia flag giveaways. “This time of the year is about bringing people closer through fun activities. 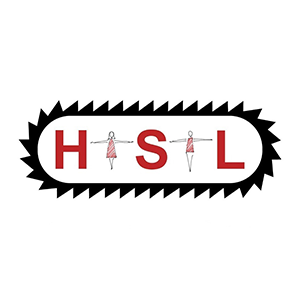 “In all our marketing activities, HSL aims to promote healthy living. After all, healthy societies and happy neighbourhoods are the best indicators of any successful housing project,” she said. Highfields is one of HSL’s earliest housing projects. A third phase is currently in the construction stage. 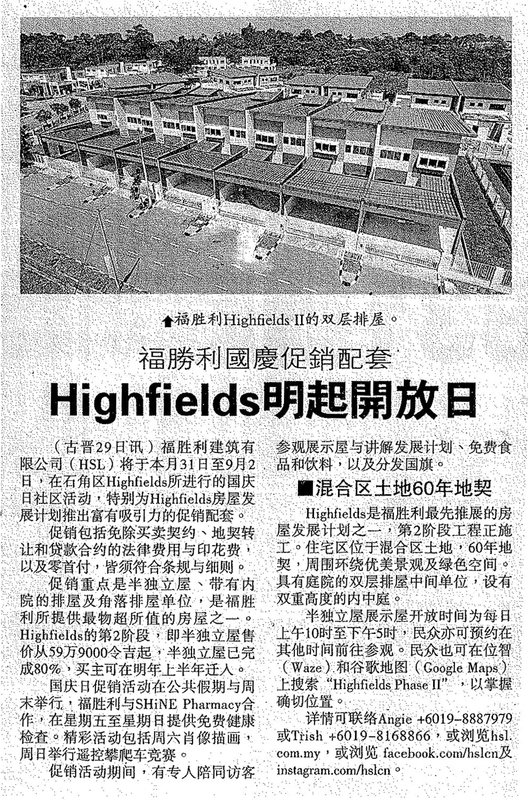 “As the name suggests, Highfields is on an elevated site on solid ground above the 100-year flood level. The estate is on mixed zone land with 60 years’ lease and is surrounded by landscaped verges and allocated green spaces. Intermediate units of the double-storey courtyard terraced homes feature a double-height internal atrium, which brings natural light and ventilation into the centre of the home. The affordable semi-detached homes are individually designed to best suit their land sizes, ranging from 7.9 points to 15.8 points. The semi-detached showhouse is already available for public viewing daily from 10am-5pm. 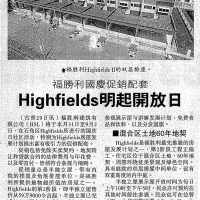 Search for ‘Highfields Phase II’ on Waze and Google Maps for the exact location. For further information, call Angie (019-8887979) or Trish (019-8168866), or Facebook.com/hslcn, or Instagram.com/hslcn.